Oh, it’s possible. In fact, I’d argue it’s probable. 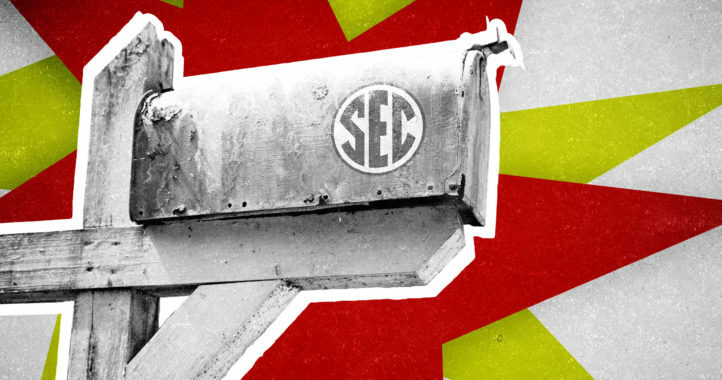 The SEC is about to flex even harder than it usually does following draft weekend. Why? 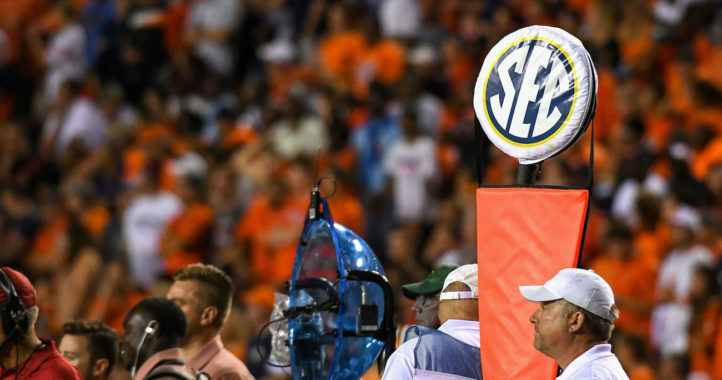 Besides the likely possibility that the SEC could have the most draft picks for the 13th consecutive year, there’s a different historic mark the conference is chasing. It’s the first-round pick record for a conference. The SEC and ACC share that mark at 12 (the ACC set it in 2006 and the SEC tied it in 2013 and 2017). If I were going to bet on one thing this draft, it’s that the SEC will set a new mark in 2018. It’s not a case of SEC bias or anything like that. It’ll just be because the first-round talent is there. How did I come to that prediction, you ask? The mock drafts are certainly favorable for the SEC. Overwhelmingly favorable. I took a look at the most recent mock drafts for 4 people who are highly respected in the industry. Mel Kiper Jr., Todd McShay, Daniel Jeremiah and Matt Miller all pour countless hours into draft prospects year-round, and I find myself taking their mocks the most seriously. Again, this isn’t final. A lot of this stuff can change at the NFL Combine in a few weeks. But at the very least, it’s telling. It’s telling that 4 draft experts (the 4 best, I’d argue) all have the SEC breaking the record. They all have the SEC with at least twice as many first-round prospects as the next-closest conference. I mean, McShay has nearly half the first round coming from the SEC. You’d see that stat on every piece of SEC marketing material from now until, I don’t know. Ever? And while Alabama has a realistic chance of breaking its program record for first-round selections (4), it isn’t just the Crimson Tide and everyone else. In those aforementioned mock drafts, 9 SEC schools are represented. Shoot, even Vanderbilt cornerback Joejuan Williams got some first-round love. The variety is really what makes this first-round record feel like it’s bound to fall this year. 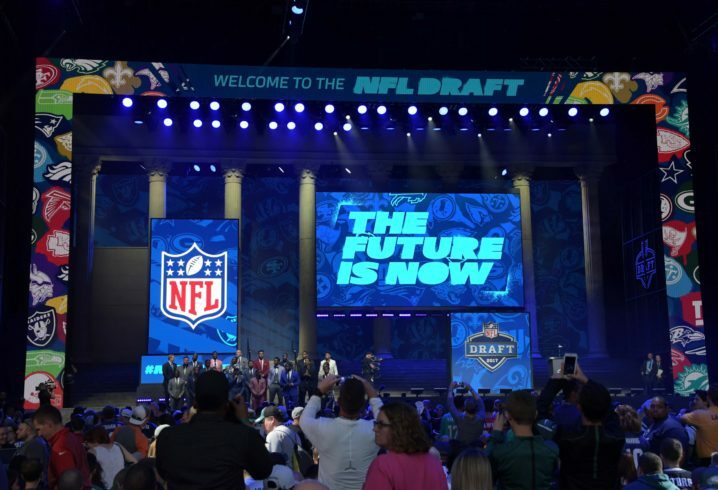 It seems like there are roughly 20-25 SEC players who are at least in the first-round conversation, which includes the roughly 7-8 players who look like probable Top 10 picks. So what do we chalk this up to? Is this historical trend, as Danny Kanell says, just a product of having the most teams in the conference? No because as Kanell seems to always forget, the ACC went to 14 teams a year after the SEC did. Speaking of that, I was curious about some of the first-round trends in recent memory. While the SEC’s overall draft dominance has really been on display during the 12-year run of having the most players selected, it actually holds pretty strong dating back the past 25 years. At least as it relates to first-round picks. In the past 25 years, the SEC had 187 first-round picks (an average of 7.5 per year). That means breaking that record and getting to 13 picks in the first round would be nearly double the SEC’s average in that stretch. Just for a little perspective, the ACC and Big Ten had 118 and 126 first-round draft picks in the past 25 years, respectively (averages of 4.7 and 5 per year). Only 4 times in that stretch did the ACC have more first-rounders than the SEC, and the Big Ten won that battle with the SEC just 6 times. Since the ACC initially set the draft record with 12 first-round picks in 2006, it has yet to get back to double digits. The SEC, on the other hand, accomplished that feat 6 times, including 5 of the past 8 years. Call me crazy, but I think it’s about to be 6 of the past 9 years. Sure, obviously Nick Saban’s arrival at Alabama had something to do with that. In the past 10 drafts, Alabama was responsible for 26 of the SEC’s 94 first-round picks. 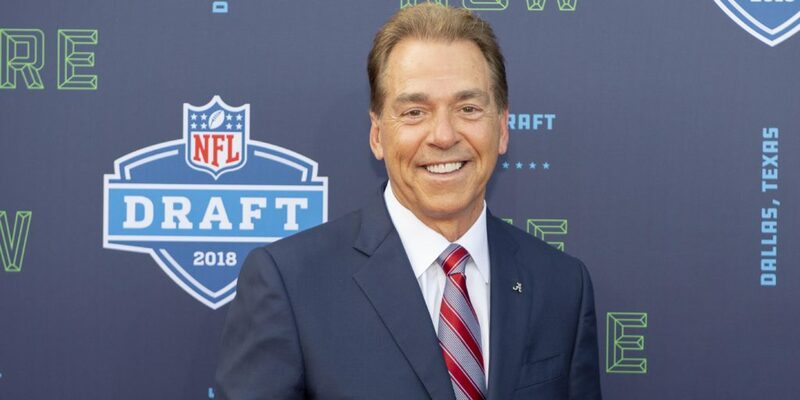 But even if you don’t count Alabama, the SEC still had 68 total first-round picks, which was significantly more than the ACC (50) and Big Ten (42). I’d bet that even if you remove Alabama from the SEC conversation in this year’s draft, the conference would still hold a clear advantage when it comes to first-round picks. That’ll still probably be true for the overall draft mark. Perhaps the SEC will break its record of 63, which it set in 2013. That was also the year it tied the ACC’s record of 12 first-round picks. Fitting it is that this year’s NFL Draft will be hosted in the heart of SEC country in Nashville. No longer is the draft annually hosted in New York where chants of “J-E-T-S, JETS, JETS, JETS!” would break out at any time. I wouldn’t be surprised if a new chant made its way to the Music City.